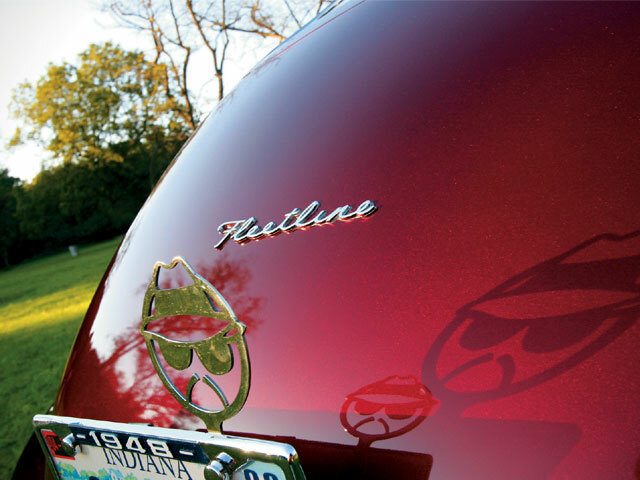 Finding this classic low was a sueno divino (“sweet dream”) come true for steelworker Luis Ruiz from Hobart, Indiana, and a member of Suenos Divinos Car Club. 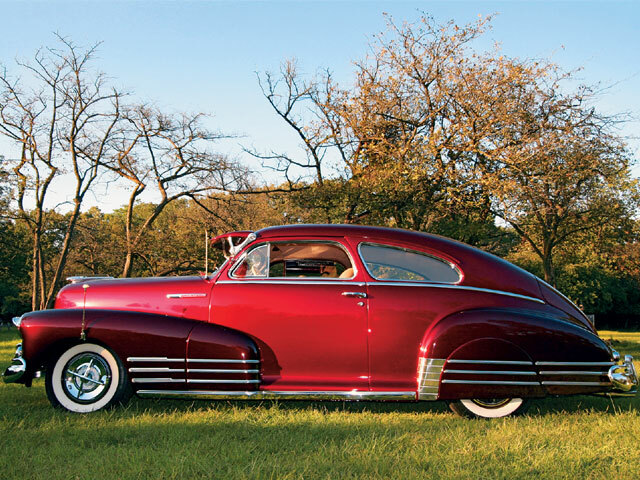 Luis purchased this classic ’48 Chevy Fleetline from his friend Jaime of Members Only. With a new ride in his name and Luis in the driver’s seat, this project underwent a transformation not unfamiliar to his rides of the past. A major life accomplishment for Luis was completing his first lowrider in 1995. “Spanish Gold,” a ’63 Chevy Impala, was featured in the November issue of LRM that same year. Next, it was his ’52 Chevy, “Zooter,” to make it into the hands of Lowrider readers in November ’04. 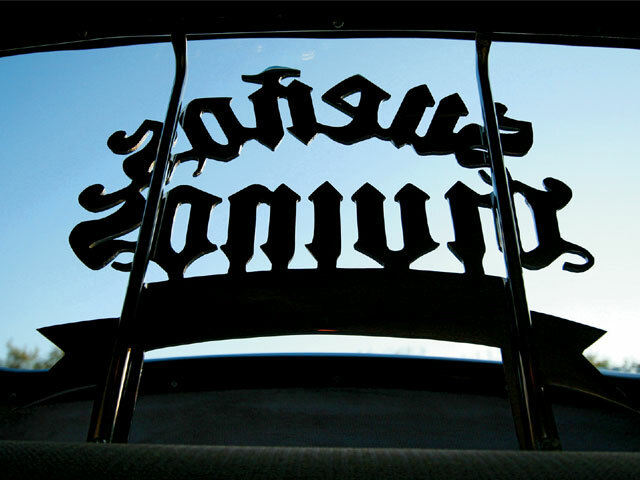 Now, his latest lowrider, “Cholow,” will also be his last lowrider. “I will be cruising it for the rest of my life,” says Luis. And what a way to go out! This immaculate cruiser is truly something to lower your locs over. With help from one of his best friends, Greg Schaller of GS Customs in Indiana, a little bit of money, and the passion to complete yet another classic, it took Luis 211/42 years to take this bomb from project to full potential. Before it was all said and done, that little bit of money added up fast and included some features worth spending as much time appreciating. A quick glance at the raspberry exterior begs for a closer look of the fine details from bumper to bumper. The engine compartment boasts a chromed-out 350 and Edelbrock carb paired up with a 350 transmission, all assembled and installed by none other than GS Customs. The floor actually needed to be customized to fit the new transmission. When cruising along the freeway or parked at a picnic, four switches and an Air Ride Technologies suspension adjusts Cholow to the desired height. The classy interior finishes off the OG look with tan material stitched up by Lupe at Duneland Designs and woodgrain and metalwork by VC Finishings. All of this creativity and craftsmanship earned this Indiana Fleetline First Place ’40s Mild Custom at the 2007 Houston, Texas, Lowrider Tour Show. Bringing that award home to the Midwest was an honor much appreciated and well deserved by Mr. Ruiz. You can find Luis jamming at car shows and picnics from Indiana to Chicago to Texas. And where you find this lowrider, you will find his family nearby. From cruising, to cleaning, to helping set up the display of Latin Freestyle mix tapes that he sells and even occasionally mixes himself, lowriding is a family affair to this Cholow. With his daughter Abrelle riding “shotgun” and his wife, Michelle, at his side, this lucky man is counting his blessings, including this most recent opportunity to grace the pages of Lowrider Magazine. 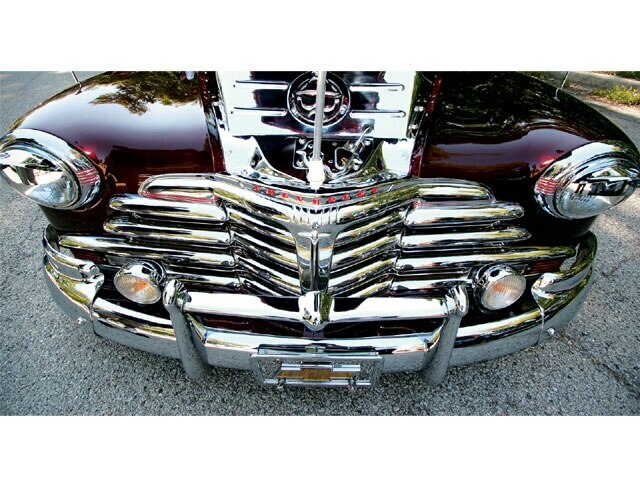 CholowOwner: Luis RuizVehicle: ’48 Chevrolet FleetlineCity/State: Hobart, IndianaClub: Suenos Divinos C.C. Engine/Drivetrain: A chromed-out 350-c.i.d. 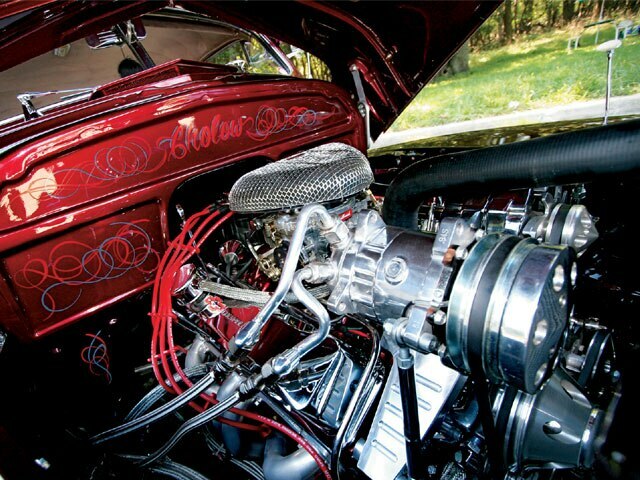 engine with an Edelbrock carb was paired up with a 350 transmission by Greg Schaller at GS Customs in Griffith, Indiana. 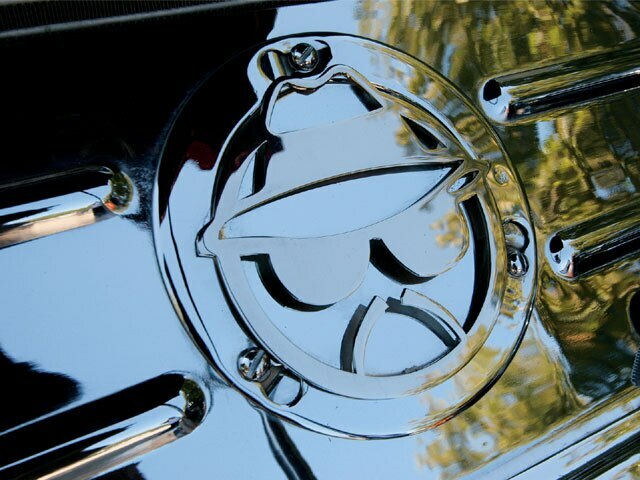 Calco Plating in Chicago, Illinois, handled Cholow’s chrome, while Ron Dudley at Ron’s Custom Stainless in Lake Station, Indiana, buffed out the stainless steel. Body/Paint: Greg at GS Customs also sprayed the raspberry and charcoal gray color scheme using DuPont Hot Hues. Interior: Lupe at Duneland Designs in Lake Station stitched up the original-looking tan interior. The woodgrain accents and metalwork was done by VC Finishings. Sound System: An Alpine head unit with Kenwood amps and two 6×9 speakers was dropped in by Greg at GS Customs. Suspension: An Air Ride Technologies suspension installed by Greg at GS Customs adjusts Cholow to the desired height. The suspension was updated with a Ford Mustang II front end and Chevy Camaro rearend.